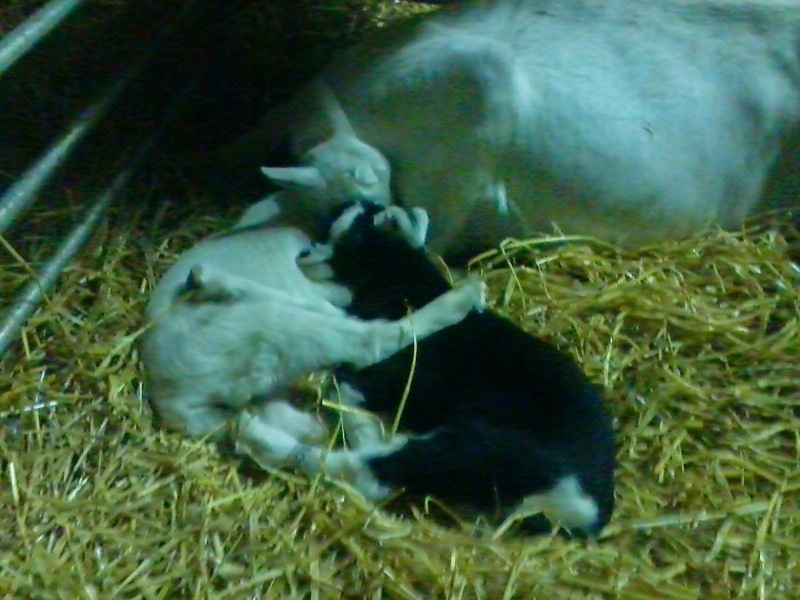 Old-timers may remember the sad story of our dear Margot goat who aborted her kids early in the season last year. Desperate for a baby of her own, she would attend every kidding in the barn, help to lick the babies clean and then try to steal them from their mums. Poor Margot. 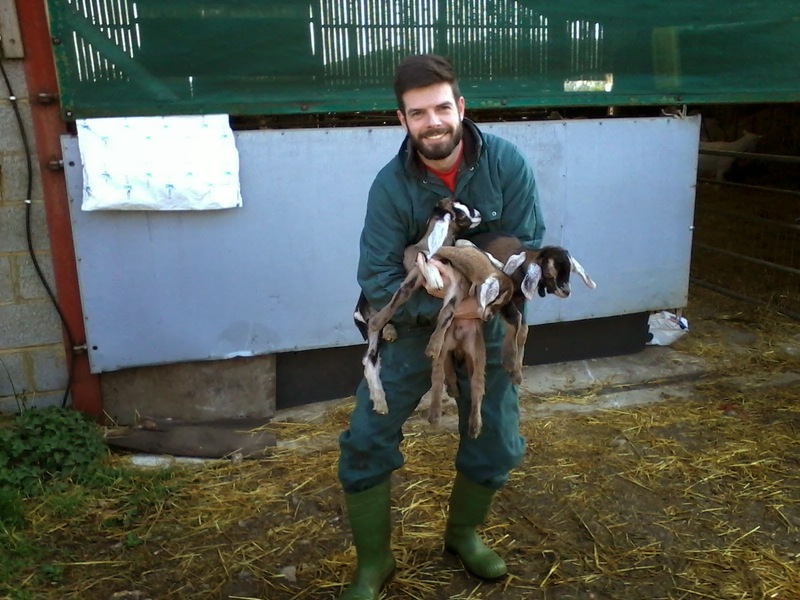 Today, with a little help from student Matt, Margot produced 2 bouncing babies - one male and one female. And a very happy mum she is too. Here she is tucking into her tea shortly after kidding .. obviously worked up an appetite! 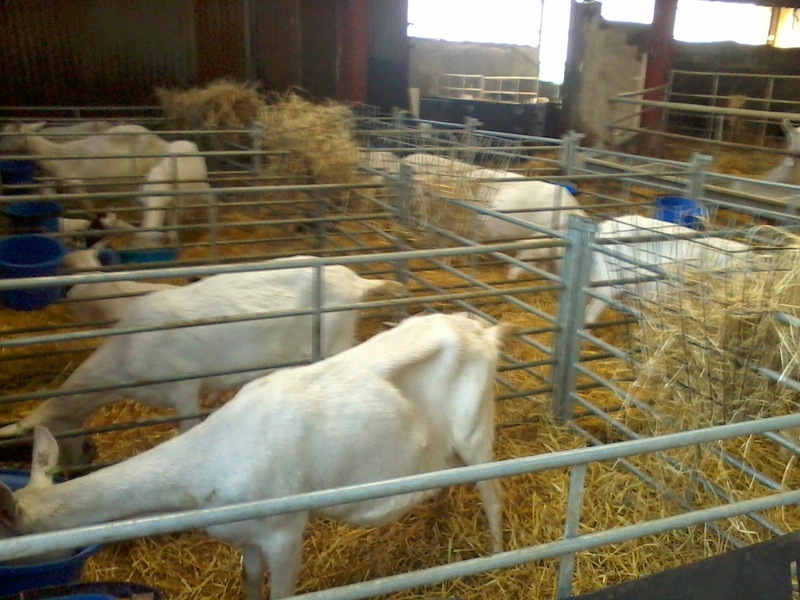 It seems to be the turn of the white goats at the moment - the kidding pens are full of them! There have been a few unexpected births as some of the goatlings who were scanned as being 'empty' have decided that they are not 'empty' at all! 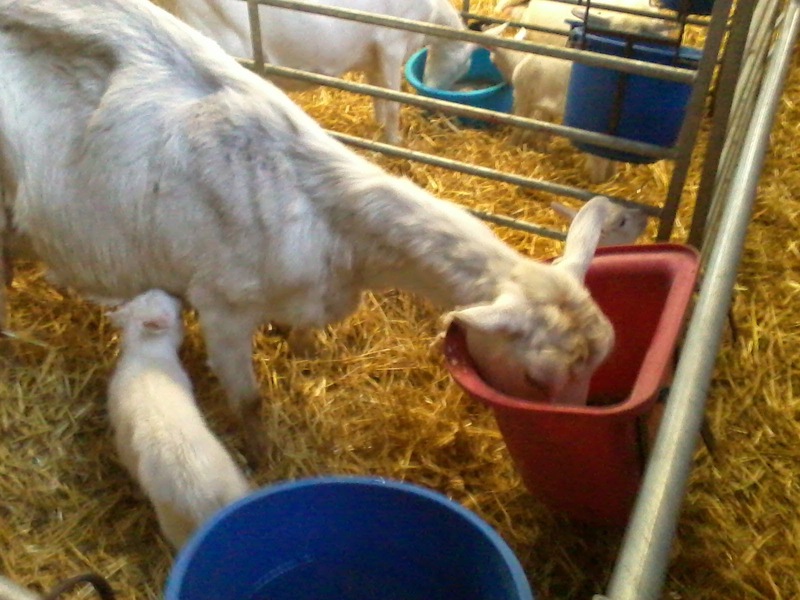 It's a constant juggle to keep babies arriving and get pens ready for new mums. Here's Matt juggling with Cleo's 3 little babies ... beautiful little things with huge ears and personalities to match! They were all perfectly balanced for their photo and then (in true goatie fashion) started to wriggle as soon as I had my camera ready. But Matt did manage to hang on to them!